I have an engineering design, consulting and prototyping company that does all of its work by referrals and word of mouth. We are focused on medical devices but do other work from time to time. We currently have no online presence. We currently have a very lame logo that I would like redone as we move to launch our website and new marketing campaigns. 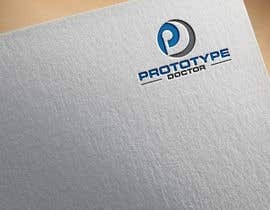 In addition to our medical device engineering, design, consulting, and prototyping services we sell a piece of prototyping equipment to pro-sumers in the 3D printing world. This new logo will be applied to the equipment that we currently sell. Brandmarks should be related/connected to Logotype and Pictorial Logos. I am looking for graphic designers and marketing specialists for branding. I would love to see you be as creative as possible. Please play with any form, combination, or play-on-words with the name: ProtoDoc, PrototypeDoc, ProtoDr, etc........ Looking forward to seeing your work and ideas. p.s. I have attached my current logo....you can see how lame it is and why I need help. Thankyou. I will do that. please check # 141 Thanks! Hello. Thanks for your challenge. Can you provide more info on what type of products your provide? Or the value prop that you offer? Also who is your audience and what type of “vibe” are you trying to communicate to the public? Lastly, any additional detail about your mission or domain or competors would help a lot. Trying to get detail here so that you get a customized logo and not a generic one. Thank you! My audience is doctors and clinicians who have an idea and need engineering assistance to take the idea/problem/concept into reality, up through regulatory clearance, manufacturing, and into the market.